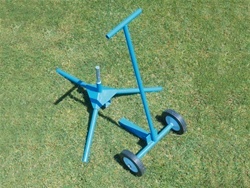 Moving your Jugs Softball Pitching Machine is easy with this cart. Once your machine is attached to the cart's base, simply insert the handle, tilt and roll. 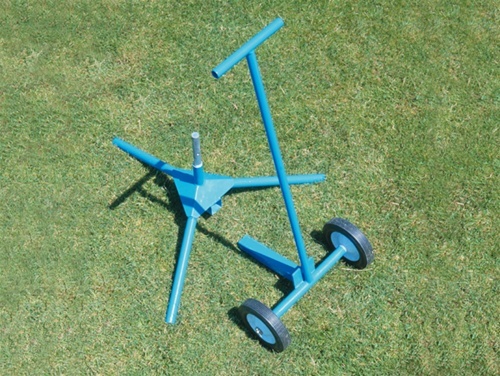 The Jugs Softball Pitching Machine Transport Cart can be used with either the Jugs Softball Pitching Machine or the Jugs Super Softball Pitching Machine. It’s portable and easy to move and set up; weighs just 75 lbs. It’s safe and simple to operate. they make it so much easier to transport the machines around the facility. should have bought one for my old machine years ago !!! !